Both of my daughters’ names are inspired by children’s literature, so it’s no surprise their rooms are, too. 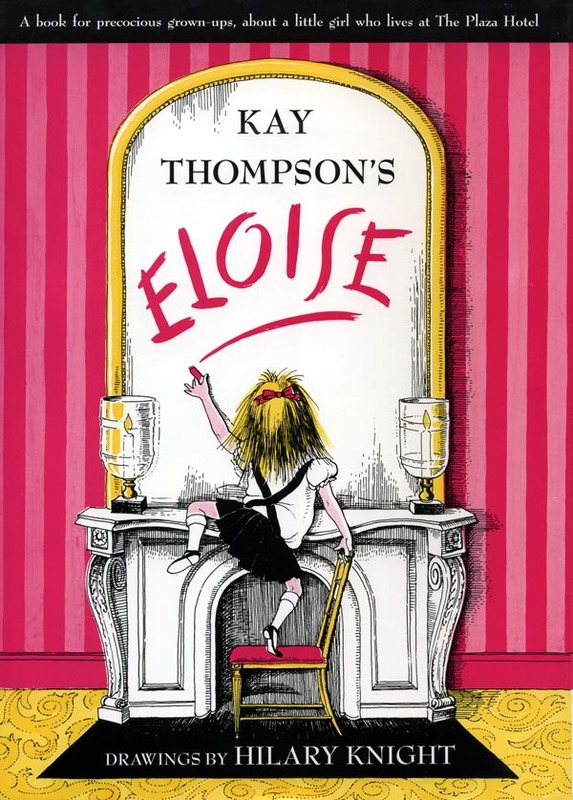 My good friend Sarah allowed me the indulgence of discussing how I used Kay Thompson’s “Eloise” as a decadent inspiration for my own Eloise’s “big girl” room. Originally posted on her design blog, Sarah Bohl Designs, below you will find to read Part 2 of my three-part series on creating children’s rooms from picture books. 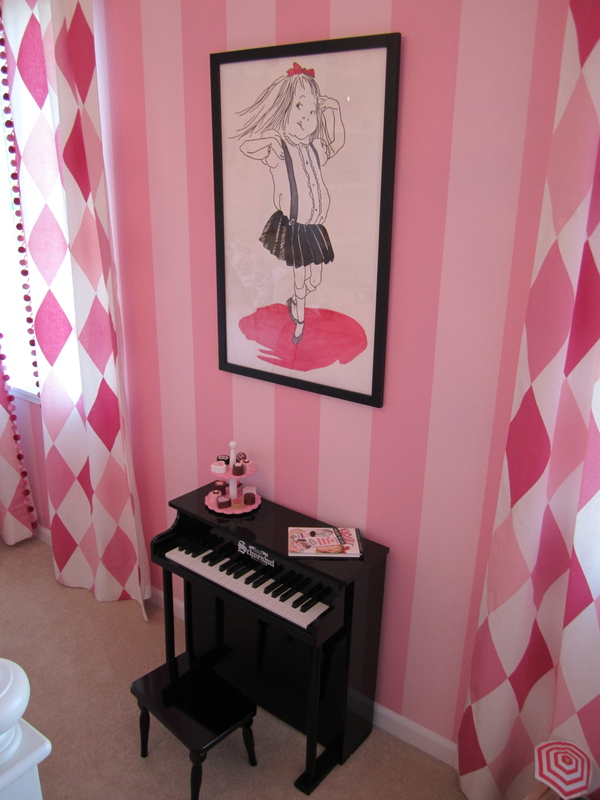 Upon the birth of our second child, I was on Cloud 9 creating a “big girl” room for my oldest daughter, Eloise. Where as before I had completely avoided the classic pink girl’s room, there’s little in this new room that isn’t a shade of pink. 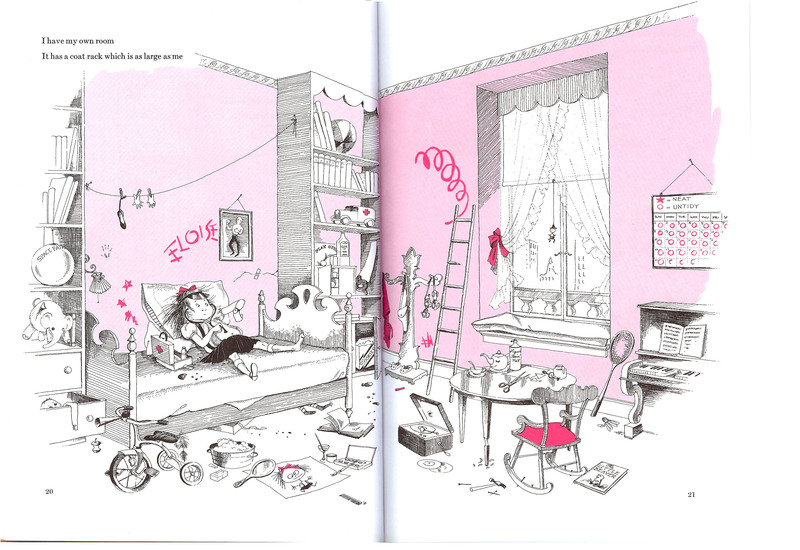 I took my design inspiration from her namesake: the pages of “Eloise,” its illustrations done solely in black ink accented with dual shades of pink watercolor. 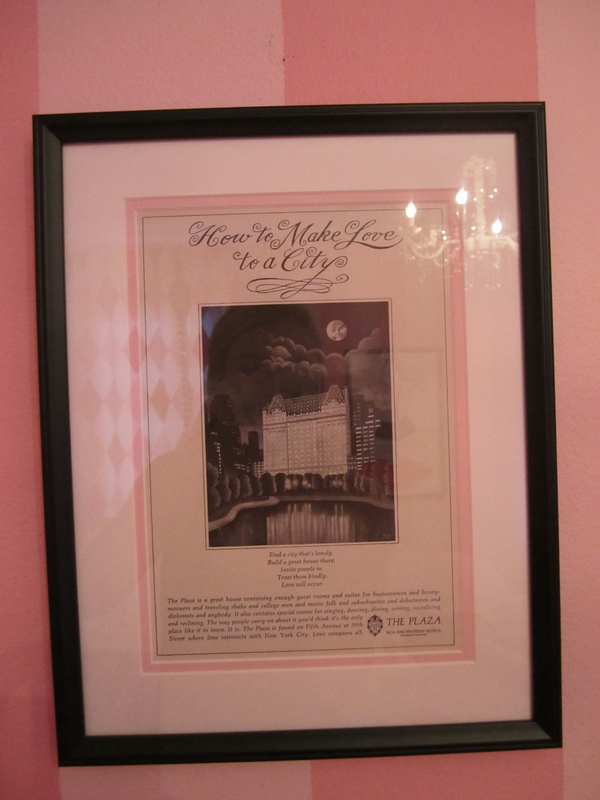 I literally attempted to replicate much of the character’s room in The Plaza Hotel; the chaos of little girl mixed with the Plaza’s elegant design features. Following my own advice, the room’s starting point was fabric, chosen from a selection garnered by a talented designer in my area, Stacie Twedt O’Brien. I could almost salivate over the Lee Jofa harlequin pattern used for the curtains and the Duralee pink stripe overlaid with a sheer white fabric with a swirl for the bedskirt. Both fabric elements are accented with deep pink pom-poms, an absolute must for any little girl’s room. By choosing custom fabrics for these elements, I was able to add unique patterns and develop a color palette more accurate to the, neither of which would have been as easily achieved with ready-made products. Using these textiles as a reference, I then selected light and medium shades of pink for the floor-to-ceiling vertical wall stripes, inspired by the book’s iconic cover. 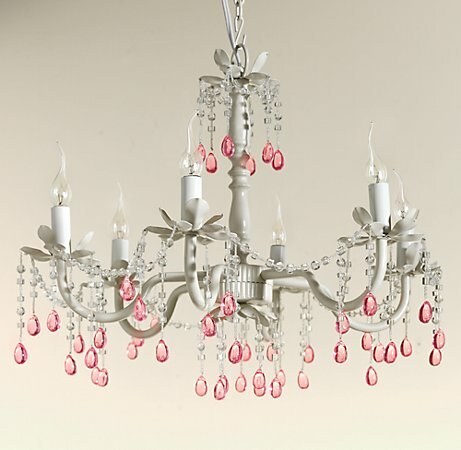 To balance the near-overwhelming amount of pink in the room, the furnishings are mostly white. The bookcases, with their scalloped cornice, were custom built, and the Bratt Décor bed (another score by my designer) perfectly mimics the details in the headboard of the bed found in the book. A Restoration Hardware glass-bead chandelier and the Louis XVI-style armchair both help recreate the elegance of the Plaza Hotel. Black accents were added subtly in the form of a spray-painted ornate mirror from a secondhand store, a child-sized piano and a classic black phone, just like the one Eloise uses to place her room service orders. My sister, again, provided the artwork – a watercolor portrait of our heroine in a precocious pose. As with any enjoyable project, the work in this room is on-going. I have a vintage black-and-white advertisement for the Plaza Hotel that needs a frame and a home on the bookshelf ,and I’m patiently waiting to find just the right houndstooth throw blanket for the armchair. My daughter is Eloise too after the book. Been trying to find ideas for next year when she gets her big girl room. How did you get the letters for the wall? Kristin — So wonderful to hear of another Eloise! I ended up making a copy of the Eloise letters from the book, then I enlarged them all individually and printed them out. I cut out each letter and traced around them on a piece of wood I picked up from Home Depot. Then, I had my husband’s grandpa cut them out with a jigsaw (he also sanded the edges for me). I painted them and then attached them to the wall with heavy duty velcro (didn’t want them to fall on her head while she was sleeping). I have to admit, I usually stay far away from DIY projects but somehow managed to pull it off. Let me know if I can help in any other way!! my two girls are not named Eloise but boy does she LOVE the look! You did such a good job! What are the brands of paint for the room? I would love to try a hand at this for my birdies.